In the world of makeup, under-eye concealer is a necessary evil. We're thrilled when we discover a new holy-grail product, but so often our excitement is dashed when a midday glance in the mirror reveals creasing and cakiness. What does it take to achieve the crease-free concealer we always see on the red carpet? we ask ourselves. Magic?! According to Honey makeup artist Suzy Gerstein, the creaseless look we see on celebs isn't actually witchcraft. "Models and actresses have a team of makeup artists and lighting assistants there to smooth away creases, whether it be through makeup or lighting or post-production," she says. Ah yes, that makes sense. Now, there are a few genius tricks that we mere mortals can use to simulate the flawlessly concealed, fresh-faced look of celebs. But Gerstein urges us to set reasonable expectations. "You can minimize creasing, but being that we are moving, breathing beings, it is not always possible to prevent it all together," she says. "Remember to go easy on yourself. … As much as a crease annoys you, it's usually nothing a couple of swipes of a damp Beautyblender or a fingertip can't fix." Now that we've set our expectations to a realistic level, Gerstein and two other top Honey makeup artists have some pretty brilliant (and simple!) tips for preventing those creases as much as possible. Keep scrolling to learn their must-try tricks for crease-free concealer! Our MUAs agree it's easy to mess up the powder situation with under-eye concealer. 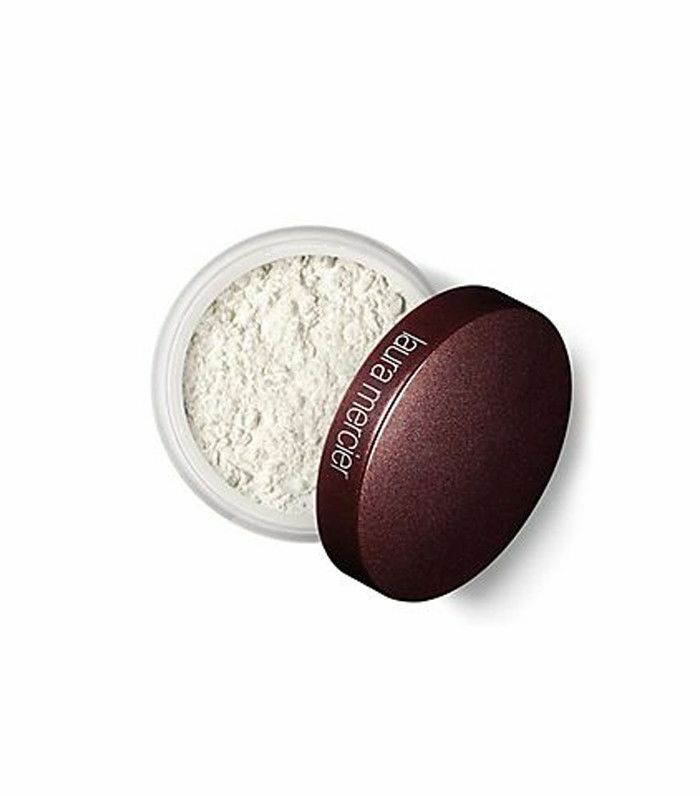 You definitely want to apply powder on top of your concealer, which "sets the look and minimizes creasing throughout the day," says Gerstein. But don't overdo it. "Instead use a light powder, like Laura Mercier's Secret Brightening Powder ($25), and use it sparingly," says celeb makeup artist Min Min Ma. For best results, apply with a small, fluffy powder shadow brush, like the one from Sonia Kashuk's Essential Eye Kit ($12). "Where you place the concealer is also important," says Ma. "We tend to get most darkness around the triangle part at the inner corner of the eyes, so focus there. The skin around that area tends to be smoother, hence less creasing." According to Ma, the texture of your concealer affects how much it will crease. Dry concealers tend to crease more because they are less flexible and can cling to the folds of your skin. "I tend to go for light and creamy textured ones, like Charlotte Tilbury The Retoucher ($35)," says Ma. A lesser-known tip for crease-free concealer is to prep the under-eye area "with an easily absorbed eye cream," says Gerstein, who recommends Tatcha's Luminous Deep Hydration Firming Eye Serum ($95). “I like to do this step first, then apply the rest of the makeup, and then go back to under-eye concealer to ensure that the product has time to absorb," she says. Pro tip: If you're in a rush, Gerstein says to apply your eye cream, then separate a two-ply tissue and press it on your under-eye area. This hack removes any excess cream and readies the under-eye area for concealer. "Avoid taking concealer up to the bottom lashes, as it tends to pool and crease there,” Gerstein advises. If you accidentally get too close to the lash line, fix it by dipping a cotton swab in some makeup remover or a multi-purpose skin salve (Gerstein likes Honest Beauty's Magic Balm), and gently run it under the lash line. This will “break up the product and bring the area back to life,” Gerstein says. What you use to apply your under-eye concealer also matters. "My trick is to use a small, pointed synthetic brush to apply the concealer only to the areas where you see a shadow, then pat into place with your fingertip," says Gerstein. "The warmth of your skin will melt the product and blend it, making it look like real skin." Ma recommends Lancôme's Concealer Brush #8 ($28). Here's another cool hack for creaseless, stay-all-day concealer: Press a blotting paper over the under-area after you've applied your concealer. This "really blots off excess oil, leaving just the pigment behind, which ensures long wear," says Gerstein. No, not the intense baking you see on Instagram. We're talking about an easier version for every day. Here's how you do it: "Have a loaded setting brush ready with loose setting powder," says celebrity makeup artist Robert Greene. (Your Laura Mercier Secret Brightening Powder will work here.) After patting in your concealer with your fingertips, making sure there are no visible crease lines, tap some loose powder quickly and lightly over the area you've concealed. “Let the powder sit for two to three minutes,” Greene says. 'I like to work in thin layers to achieve a realistic finish and only apply as much as needed," says Gerstein. This story was originally published on October 21, 2016. Want more concealer tips? Check out our infographic showing you everywhere you should be applying concealer.